The holiday season is well underway and Christmas looms just beyond the horizon, promising to bring enjoyable family time and gift-giving merriment as it always does. Maybe you’ve waited to finish your shopping until the last minute or you just aren’t sure what makes for good Christmas gifts for gamers. 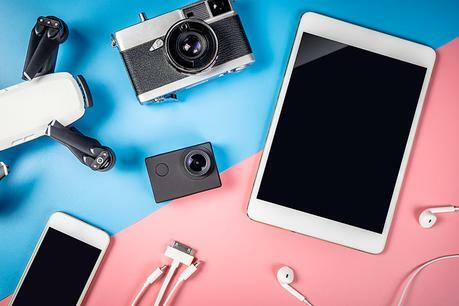 After all, there are more gadgets popping up every year and keeping up with the latest and greatest is no longer a simple matter. Our holiday gift guide for 2018 collects all of the most useful, interesting, fun and thoughtful gadgets, gizmos, accessories and consoles for the tech enthusiast in your life who always needs another electronic accoutrement to round out their collection. We’ve sorted our list and checked it twice according to the type of recipient on your gift ideas list to ensure there’s something here for everyone. Shopping for the core gamer in your life is a blessing and a curse: They like games and they probably already have all the games they’ve been looking forward to. On the other hand, they’re probably lacking in the accessories department. After all, it’s always nice to have a spare headset or mouse pad. If you feel generous enough to pick up a console for your loved ones, don’t forget the extra gaming controllers! Most adult gamers will already have their favourite consoles, but there’s nothing more exciting for a geeky child than to wake up on Christmas morning with a neatly-wrapped console hidden behind the couch and brought out only after all the other presents are gone. All of the current generation of systems have been out for several years and launch date shortages are a thing of the past, making them easy to pick up at most any retail store. 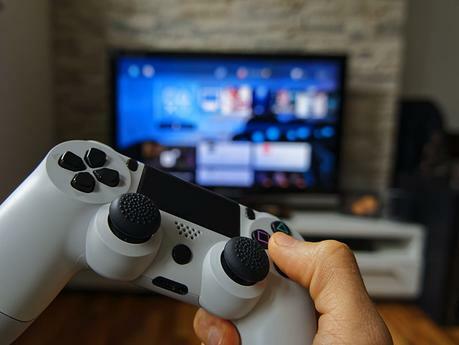 If you’re buying for someone who has giant televisions and 4K monitors, it is important to note the PlayStation 4 Pro (£349.95) and the Xbox One X (£399.99-449.99)are the current editions that aim for the best performance and graphical fidelity possible for this console generation. Earlier editions work roughly as well, but they won’t be quite as crisp on top-end equipment. The Nintendo Switch (£279.99) has very few alternate editions beyond offering different controller colours or bundled games. There were plenty of reasons to be excited for this year’s crop of games and nearly every one delivered above our wildest dreams. All of them except Fallout 76, that is. For the PS4 gamer in your life, Marvel’s Spider-Man (£29.99-39.99) offers a breathtaking cityscape to swing through wildly in the pursuit of playing out every Spider-Man fantasy you’ve ever had. The combat is smooth, the exploration is satisfying and facing down the usual comic book rogue gallery hasn’t been this fun since the Batman: Arkham series started to slump. If cowboy action is more up their alley, Red Dead Redemption 2 (£49.99-55.00) has outsold nearly every entertainment product known to man, so they may already have a copy. If not, grab them a copy! All of Rockstar’s usual flair for gritty storytelling and satisfying world building comes to a head in a Wild West setting that seeks to deconstruct its upbeat pop culture gloss coating. If your lucky recipient has a Nintendo Switch, Super Smash Bros. Ultimate (£49.99) has taken the world by storm as an arcade brawler that can be enjoyed by players of any age and skill level, yet has enough mechanical depth and content to keep players coming back for more. Meanwhile, there’s always Pokémon: Let’s Go (£34.99-44.99) for the Pokemon lover in your family or friends group. Choose between the Pikachu or Eevee version to determine which batch of Pokemon you’ll be chasing in a Pokemon title that finally brings the series’ classic RPG play style to a full home console. You don’t have to lose portability, either, as the Nintendo Switch is a surprisingly portable device. If they’re extra lucky, you might consider Super Mario Odyssey (£39.99) for them as well. The Super Mario series of platforms have only become more endearing and solid to play over the years and the entire family can jump in on Mario’s latest world-hopping adventure. Xbox One owners can also enjoy Red Dead Redemption 2, but they’ve got other fun exclusives on offer, too. Forza Horizon 4 (£26.99) has managed to take the crown as one of the most graphically impressive racing sims to launch in the past few years and it finally allows players to roam through a beautiful landscape between high-octane races either solo or with their friends. The high seas call out with Sea of Thieves (£49.99), another strong Microsoft exclusive full of swashbuckling, treasure hunting and skeleton duelling in a multiplayer world where you and your friends make up the crews of the sea’s most fearsome pirate ships. Once the adventure is done, you can always swig a few too many tankards of grog and try to drunkenly play tunes on your accordion to drive your mates up the wall as well. It’s always good for a laugh. 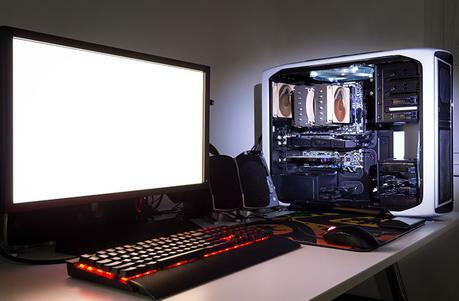 Image credit: daliu / Adobe StockEarlier in the year, we touched on getting the most out of your gaming PC and the best ways to achieve better PC performance. Unfortunately, some of the quickest ways to squeeze more out of a computer means slotting in new hardware. Granted, sitting in a cheap office chair for a whole afternoon may come as a trade-off for spending all of one’s money on PC parts, so maybe picking out a nice new seat could make for an unexpected but welcome gift as well. If you do plan to grab internal hardware for someone’s PC, you may have to partially spoil the surprise and ask them about their build to make sure what you intend to buy will work with their setup. Don’t be afraid to be coy about it! If the gamer in your life is still using cheap off-brand keyboards and outdated mice to save on money, tell them to toss that junk out and slide them something with better response times and sensitivity they won’t have to replace every three months. The Razer BlackWidow Lite (£99.99) is the perfect entry-level mechanical keyboard to show them just how nice typing and gaming can be. Low-noise orange mechanical switches and LED backlights with adjustable brightness make it a solid keyboard that won’t blind them with wild colours or deafen them with noisy switches. Finding an appropriate mouse depends on their average use. For those who play a lot of MMOs and RPGs, a Razer Naga Trinity (£75.99-99.99) has a high-DPI optical sensor and side plates that can be swapped out to give a wide variety of button combinations for all of their favourite games. If they don’t need quite so many buttons, the Razer DeathAdder Essential (£49.00) gives the same accuracy and adds comfort for long-term use that won’t leave marks. There’s an old adage about spending more money on the items in your life that separate you from the ground and computer chairs shouldn’t be the exception. The SecretLab Omega (£289.99-349.99) was consistently rated one of the best gaming chairs of 2018 with plenty of soft memory foam padding, durable cover materials, excellent tilt angles and a frame wide enough to ensure anyone who sits in it has plenty of room to get as comfortable as possible. For a more traditional look, the IKEA Markus (£150) makes for a long-term investment that holds up amazingly well. It’s tall enough to be comfortable to recline in and its mesh backing doesn’t break down in the same manner as foam padding, making it more feasible for years of consistent use. Gaming headsets used to have a pretty poor reputation as peripherals, but their general quality is going up with each generation. For those who spend a lot of time gaming with others online, they’re indispensable. The Logitech G Pro Gaming Headset (£84.99) doesn’t go with standard bright neon aesthetics, instead opting for a more muted and streamlined look. The money they saved on its presentation have gone into making sure its over-ear construction is lightweight and comfortable through long gaming sessions without skimping out on mic quality. For noisy environments, passive noise cancellation thanks to its frame and ear cups makes hearing call-outs and chatter that much easier. On the more affordable side of the spectrum rests the Corsair HS50 (£44.98), a traditional wired unit that hopes to appeal to the entry-level audience with straightforward design and performance. Its microphone is responsive and won’t leave you sounding like you’re trying to talk through a desk fan like cheaper models may. If your recipient doesn’t need a microphone, the Sennheiser HD 65 (£47.99) continues to be one of the most consistently impressive sets of headphones you can get at its price point. It’s comfortable, its bass response is deep enough to keep heavy audio sounding full and rich and it comes with independent volume controls on an integrated remote that let you drop the volume or adjust the balance of your music on the fly. For more recommendations, check out our headset recommendation guide from earlier this year. Maybe you’re not looking to buy something strictly console or PC related. Maybe you’re left trying to divine the whims of a geek who seems to have it all and buying for them takes plenty of time and research. This section has plenty of geeky gadgets, stocking stuffers and collectibles to simplify those shopping mysteries. Ebook readers are the kind of gift that work with nearly any recipient without going for the tried and true gift card option. The Kindle Paperwhite (£119.99) is a portable reading solution that doesn’t suffer from screen reflection and battery life issues like a traditional tablet. They’re even waterproof now, so you don’t have to worry about your beachside or bathtub reading leading to a lost gadget. Photography as a physical hobby has lost a few steps as digital cameras continue to become more ubiquitous and powerful additions to nearly every phone made these days, but the Fujifilm Instax Mini 9 (£63.00-69.00) produces physical photos the size of credit cards. There’s something to be said for the dedication and care required to shoot photos on film without burning through dozens of rolls in the search for a perfect shot. On the other hand, that may be half the fun of physical photography. Home automation through the Amazon Smart Plug (£24.99) can help nudge tech users into the wild world of the Internet of Things (IoT) in which automation and smart devices are king. Many similar plugs exist at various price points, but Amazon’s offering has the most Alexa-compatible options for setting up scheduled events and voice control for various components in your home. It’s everything the Clapper sound-activated plugs wanted to be except thirty years later and far more reliable. Listening to music and podcasts on the go with the Anker SoundCore 2 (£27.99) keeps your favourite sounds coming for a straight 24 hours with its rechargeable battery. It’s small enough to be easily taken out and about but not so expensive that you’ll constantly worry about losing or dropping it, making it great for younger listeners. Finally, keeping phones and other devices charged without worrying about cable length can be easily achieved with the three metre Anker Powerline Lightning Cable (£10.00) or the Anker Micro USB cable (£7.99) that can stand up to regular use without falling apart in your hands. There’s nothing worse than running out of battery and being stuck to a tiny radius around the nearest outlet or USB socket. Free your friends from the shackles of their tiny cables! They’ll definitely thank you for it. Keep this holiday season geeky with the right combination of games, consoles and accessories for the nerdiest people in your life without pulling your hair out while searching for ideas. After all, getting a thoughtfully chosen gift will always bring a bigger smile than a gift card.